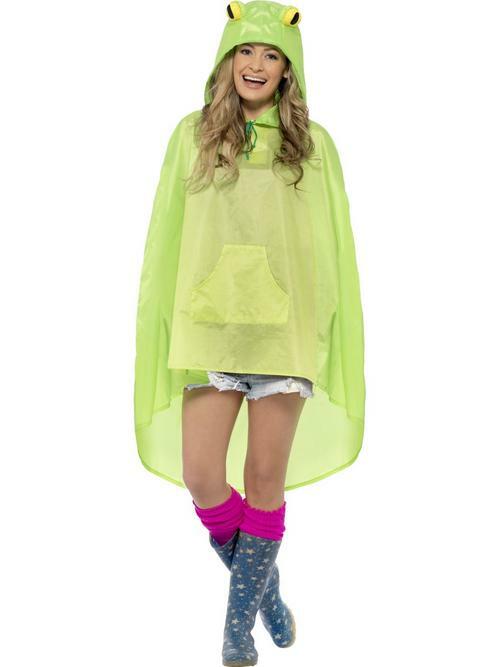 Ribbit ribbit or talk like Kermit in this fun adults Frog Party Poncho for an animal or character themed fancy dress party. This amphibian like green poncho is shower resistant and includes an attached hood with frog eyes and a matching drawstring bag. Hop your way to the party and jam to tracks performed by Crazy Frog.